“Grey’s Anatomy” Season 15 will return on ABC on January 17, 2019 at 8:00 p.m. with episode 9 titled “Shelter from the Storm.” It is expected to reveal more details about the love triangle between Dr. Meredith Grey (Ellen Pompeo), Dr. Andrew DeLuca (Giacomo Gianniotti) and Dr. Atticus “Link” Lincoln (Chris Carmack). Directed by Jann Turner, “Shelter from the Storm” was named after a Bob Dylan song like episode 8 titled “Blowin’ in the Wind,” which was directed by Kevin McKidd who plays Dr. Owen Hunt. Aired on November 15, 2018, the latter ended Meredith and DeLuca trapped in an elevator in the Grey-Sloan Memorial Hospital. A major wind storm that hit Seattle in “Blowin’ in the Wind.” Dr. Alex Karev (Justin Chambers) and Dr. Jo Karev (Camilla Luddington) had to stay home so Dr. Miranda Bailey (Chandra Wilson) was in charge at the hospital. CeCe Colvin (Caroline Clay) convinced Meredith to go on a date with Link. When DeLuca asked Meredith out, the latter walked away. DeLuca and Meredith were on their way to operating room to work on a patient. They were all alone in the elevator when the storm knocked down a power pole and knocked the power out. “Grey’s Anatomy” showrunner Krista Vernoff told TVLine that Meredith’s dating adventure has boiled down to her love triangle with DeLuca and Link. 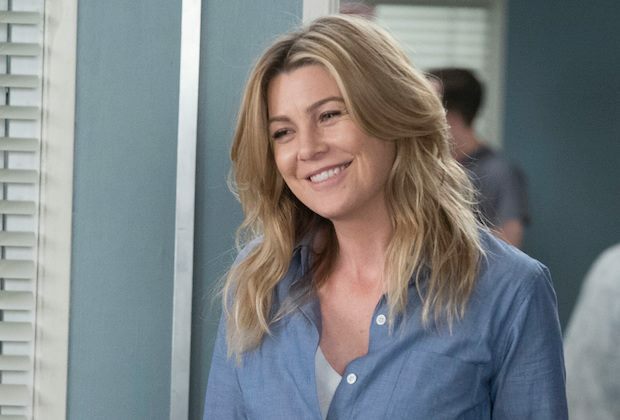 Viewers already know that Meredith will find love again but are still clueless with whom will she share her newfound love. Viewers can expect Owen, Alex, Jo, CeCe, Bailey, Dr. Richard Webber (James Pickens Jr.), Dr. Jackson Avery (Jesse Williams), Dr. Amelia Shepherd (Caterina Scorsone), Dr. Maggie Pierce (Kelly McCreary), Dr. Teddy Altman (Kim Raver), Dr. Levi Schmitt (Jake Borelli) and Dr. Ben Warren (Jason George) in “Shelter from the Storm.” Link may not be featured in the episode. Stephanie Lesh-Farell is making her “Grey’s Anatomy” debut in “Shelter from the Storm.” She will play a therapist.